Pasquale Romano is president and chief executive officer of ChargePoint and a member of the company’s board of directors. 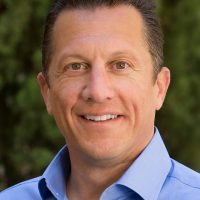 He joined ChargePoint in February of 2011, bringing more than 25 years of technology industry and executive management experience to the company. Pasquale Romano, president and chief executive officer of ChargePoint, explains how the company's recent survey has shown an appetite for the benefits of e-mobility, and how the technology can help shape the UK's low carbon future. © 2019 Solar Media Limited. All rights reserved.